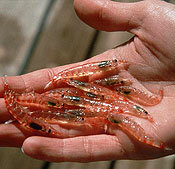 Krill Oil is the oil harvested from Antarctic krill, a shrimp like crustacean that lives deep in the ocean. Scientists and doctors have discovered that ingesting this oil can have amazing effects on your body including a stronger heart, pain-free joints, a better mood, lower cholesterol, easier menstruation and overall better health. Krill oil is a miraculous discovery from the deep pure waters of Antarctica that literally beats the pants off fish oil. When tested head to head by an independent laboratory our Krill oil was found to be 54x more powerful in antioxidant activity than fish oil! 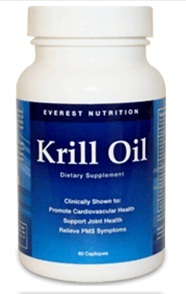 I was very fortunate to be able to review Krill Oil. On my last doctors visit my doctor suggested that I start taking fish oil. And instead of taking fish oil, I am taking Krill Oil this is 54X more powerful than normal fish oil. It is like the ultimate fish oil! I am glad I found Krill Oil, it is a great product. Krill Oil is clinically shown to promote cardiovascular health, support joint health and relieve PMS symptoms. Relieve PMS symptoms naturally?, now that is a great thing. I have been using the Krill Oil pills for a week now. The pills are easy to take, and there is no fishy burping when taking the pills. I do not miss my huge fish oil pills I used to take (my other pills were HUGE! It is amazing I could ever swallow them). They are so positive that you will love Krill Oil that they offer a 90 day money back guarantee! 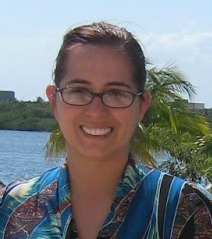 The great folks at Krilloil.com are offering one of Susan’s Disney Family a chance to win a bottle of Krill Oil. Would you like to win? Of course! To enter please visit the Krill Oil site, and take a look around the site, then come back here and tell me something you learned from the site. There are also other ways to enter. Please enter below. Susan S. Disclosure: The reviews and or opinions on this blog are my own opinions . I received Krill oil to review. No monitory compensation was received. I was not required to write a positive review. Your experience may differ. The opinions I have expressed are my own I am disclosing this in accordance with the Federal Trade Commissions 16 CFR Part 255: Guides Concerning the Use of Endorsement and Testimonials in Advertising . It is better for you than regular fish oil capsules. Results from a study published in the Journal of the American College of Nutrition reported that krill oil can significantly reduce heart-damaging inflammation. It can lower my cholesterol. I learned that Krill Oil can alleviate some PMS symptoms. Wow! Krill is better for you than regular fish oil capsules. I also love taking krill oil but mine is from a different brand. I love it due to the natural omega 3 that it gives. In the fresh, majestic waters surrounding the Antarctic, lie a wealth of Omega-3’s that ‘blow fish oils out of the water’. serving of 2 pills daily for your omega 3s! I've learned how superior a product it is to regular fish oil. I learned they can eliminate as much as 55% of artery clogging. They deliver it to your house. I learned it can boost your energy!! i wonder if it can be used by people with seafood or shellfish allergies?